Your device does not support Java Script or you don't have Javas Script enabled. You can still browse this web site but some features may not work properly. Converge is about all day, every day learning. That's why our LMS supports every facet of your instructional day with a dynamic course framework that provides flexible delivery, custom organization, and intuitive navigation. Enjoy the benefits of a system that looks great and works even better. 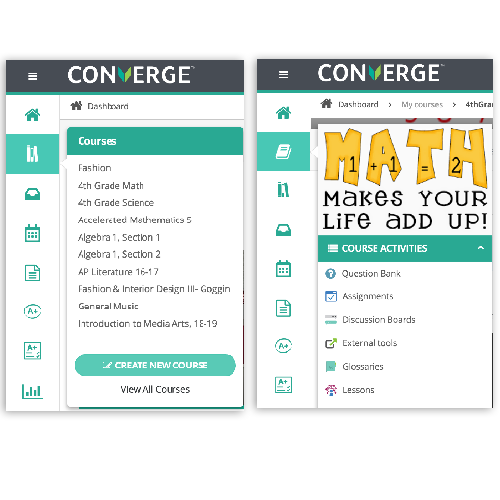 Designed with the K-12 teacher and learner in mind, Converge's enhanced navigation and refreshing interface promote authentic engagement without technology getting in the way. Our team of experienced educators provide best-in-class support throughout the implementation process. You'll have direct access to a dedicated account manager who understands your learning landscape and will walk side by side with your school or district as you make the digital transition. Empower your teachers to go beyond their current technology literacy level by providing them with #iTeachDigital Professional Development. 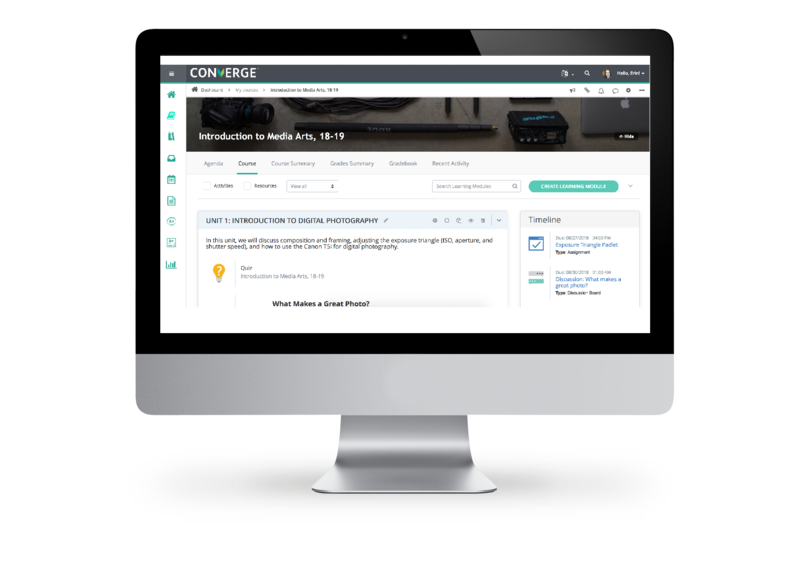 Offerings are customized to meet your school's digital learning goals and needs, with topics ranging from how to get the most out of your new Converge digital learning space to G Suite for Education training, BYOD best practices, and taking iPad integration to the next level, to name a few. Let us help your teachers say #iTeachDigital!